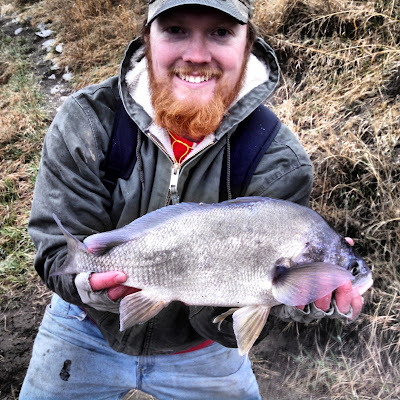 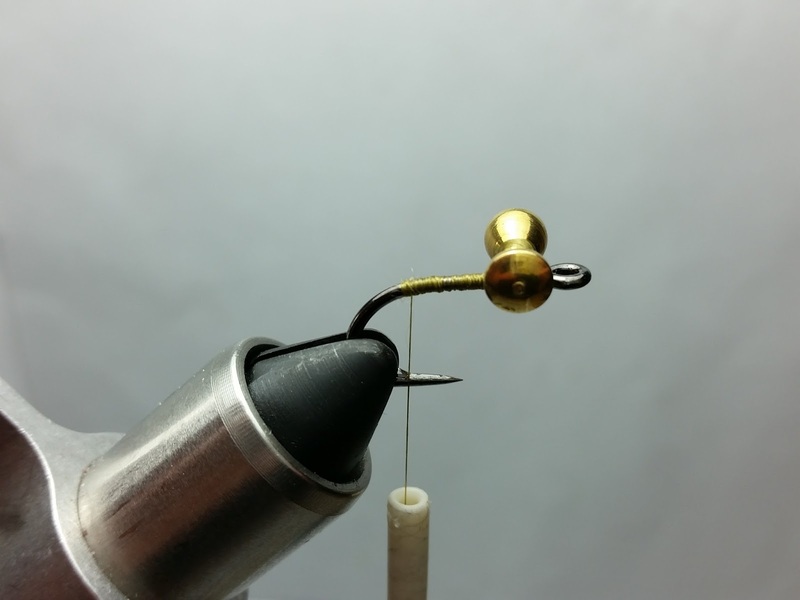 There are occasions when carp are feeding on a deep weed edge in the bay of your favorite lake, or drum are cruising between a fast moving current seam and slack water, or catfish are cruising a rip-rap bank of your local flood control reservoir. 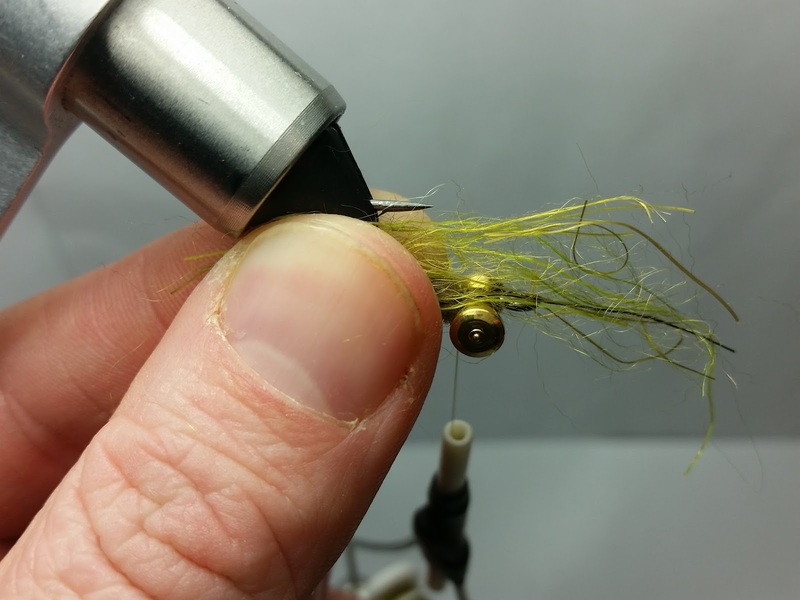 In these situations you need a fly that will get down to the fish's strike zone fast and stay there (riding hook point up). 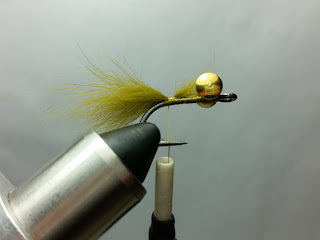 The Big Bottom fits that bill. 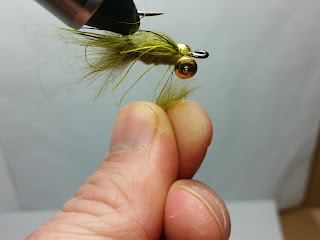 Tied in an olives and browns it mimics a crayfish and dragonfly nymphs. 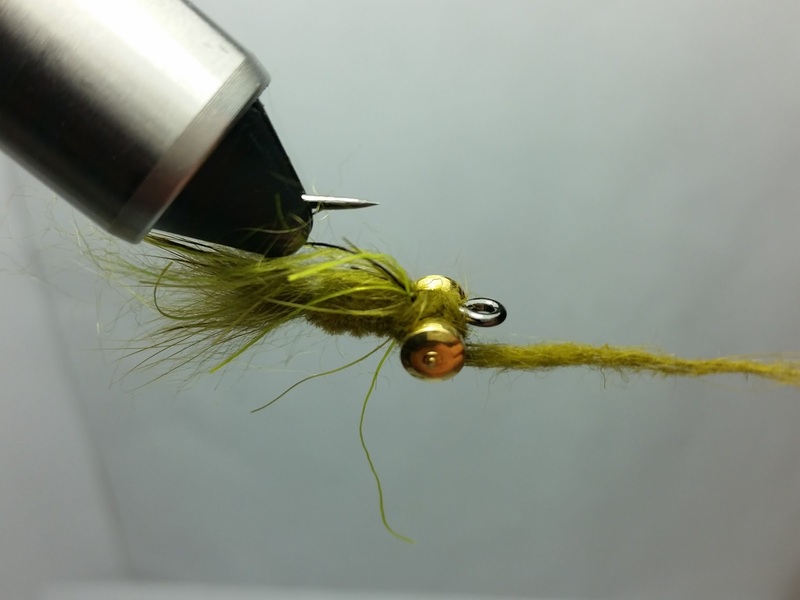 Tied in black and you have a leech, hellgrammite, or baitfish imitation. 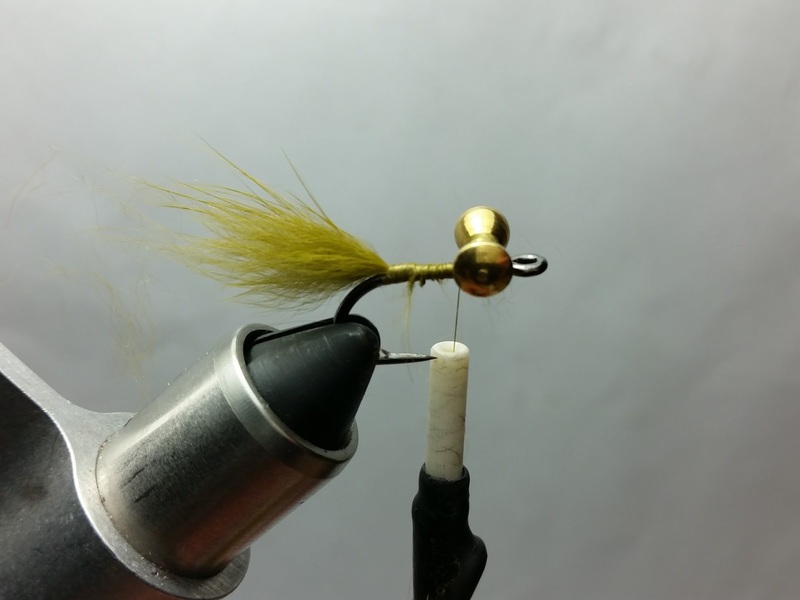 With its thin profile body and wiggly life-like collar, this simple fly will appeal to all of your favorite game fish. 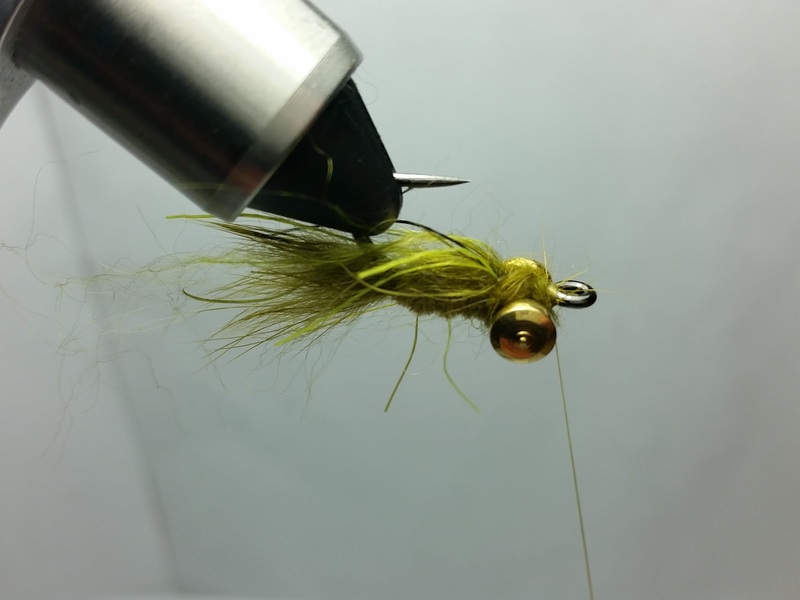 Hook: Size 6 Glo-Bug/Steelhead style hook (Tiemco 105 or equivalent) or Size 6 short shank live bait style saltwater hook or Size 6 sl45 Gamakatsu Bonefish hook. 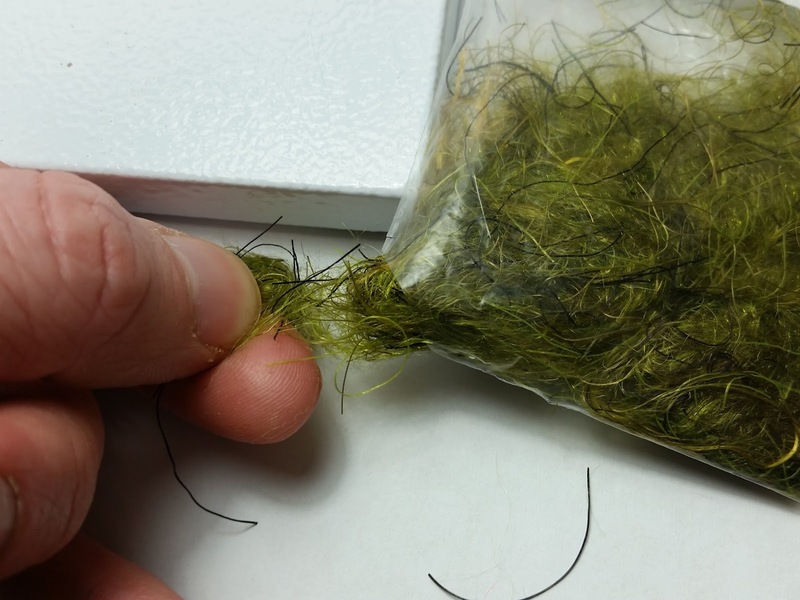 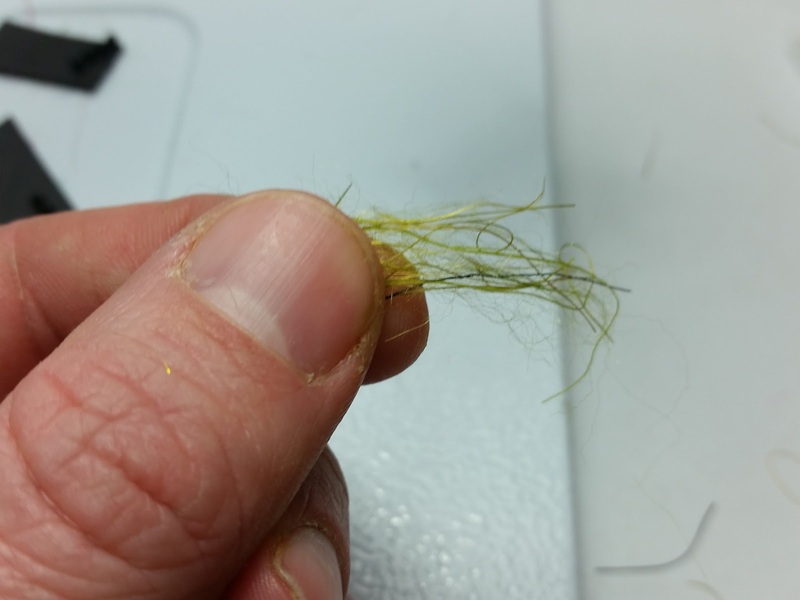 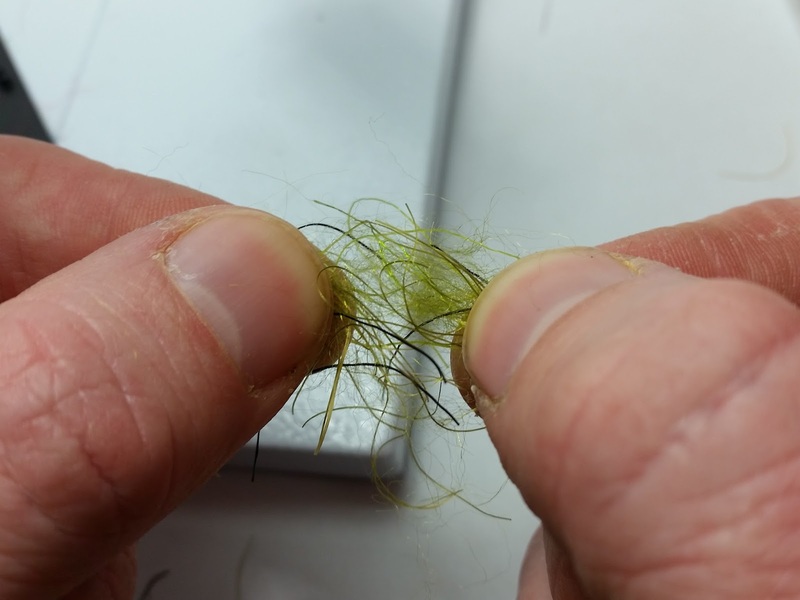 Wing/Collar/Hackle: Olive Sea Dragon Dubbing (Fly Tyers Dungeon). 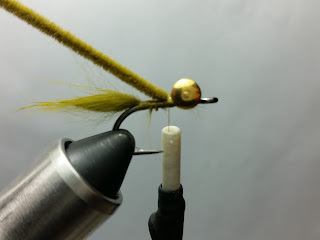 Or use your favorite rubber legged dubbing here. 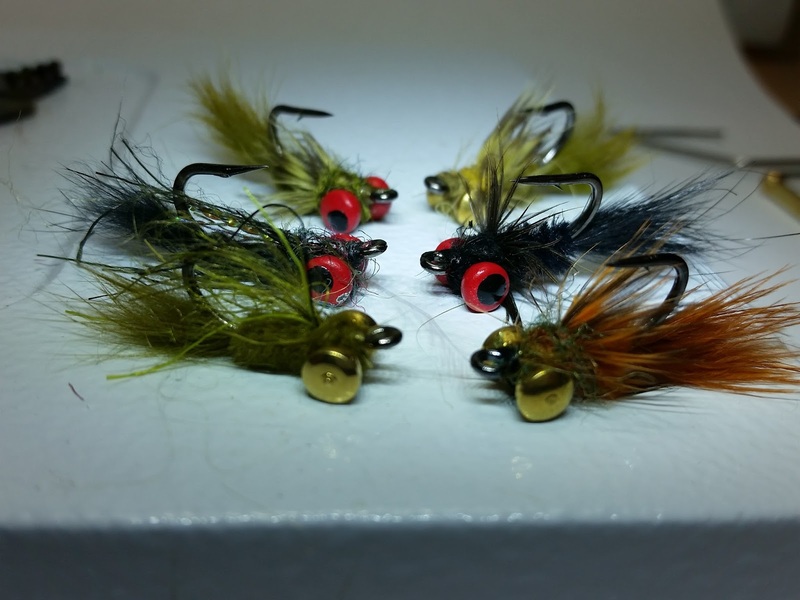 Cohen's Carp Dub a great option. 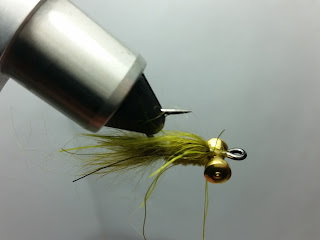 I recommend a dubbing with a blend of colors that creates a "spectral" effect adding life-like appeal to the pattern. *note* - Despite all the steps, this fly is a really quick tie. 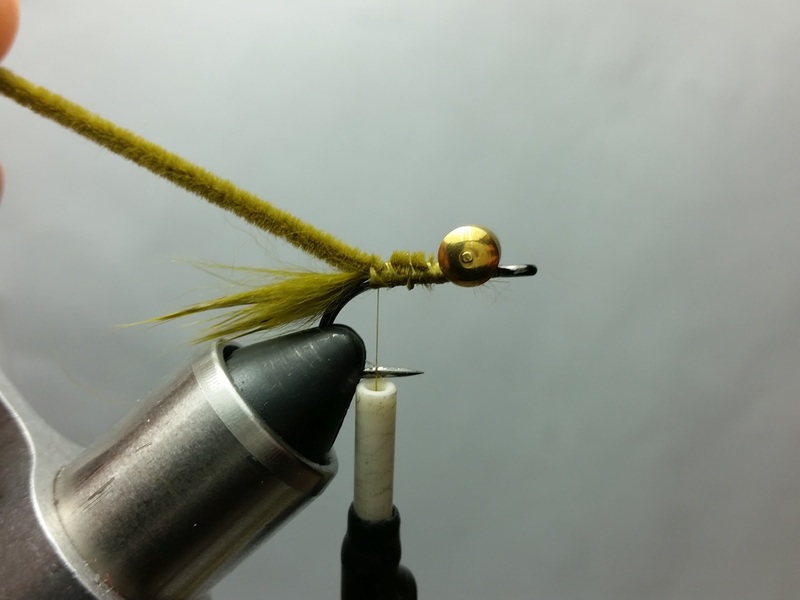 Figure-8 in the dumbbell close to the eye of the hook, it's OK to crowd the eye a bit. 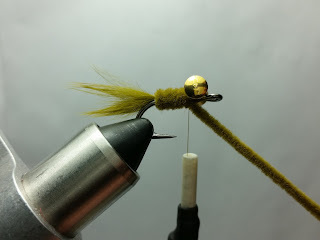 Bring your thread right above the hook barb. Pinch about 1" of fur on an olive rabbit strip and snip it from the leather. 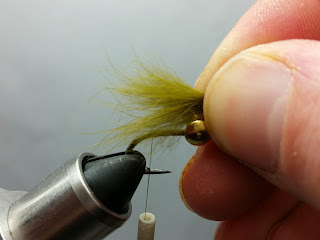 Measure the fur, you want the tail to be about 1 hook shank length when you tie it in. Lash down the fur right above the hook barb, than advance your thread back to the dumbbell. Tie in the ultra chenille directly behind the dumbbell. 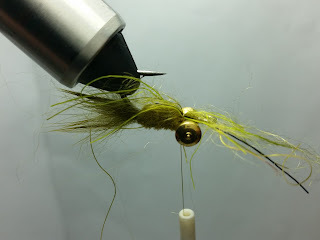 Move your thread back to the base of the dumbbell and palmer the chenille forward. 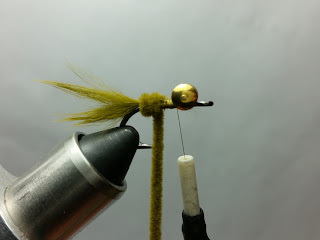 Once you fill the shank with chenille, tie off/clip the chenille directly behind the dumbbell. 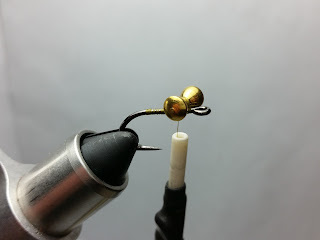 Now prepare a small pinch of dubbing. I like to cut a small slit in the corner of the plastic bag the dubbing is packaged in. 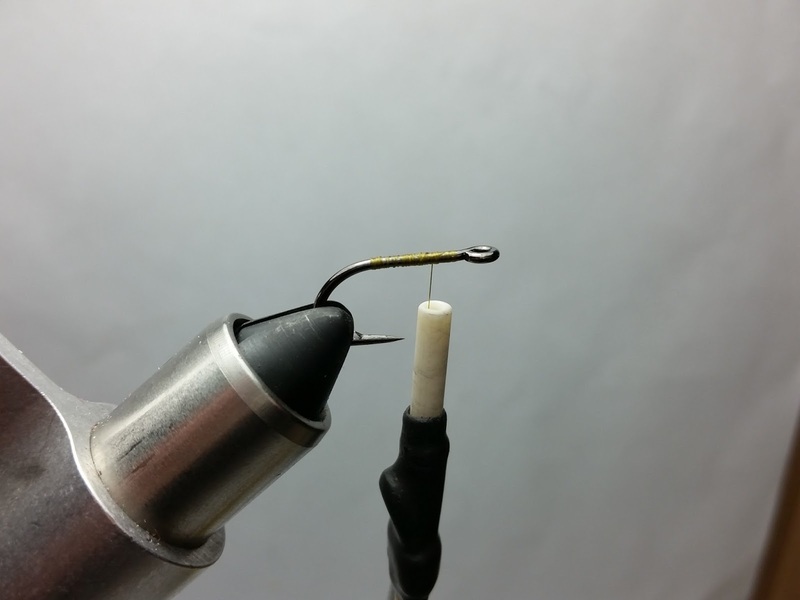 It allows you to grab a small pinch of dubbing leading directly to the next step. 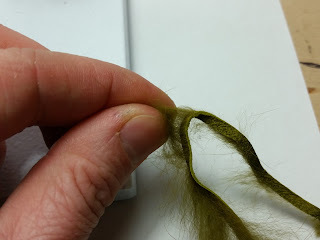 ....ending up with a pinch of fibers that are all aligned in the same direction. Rotate your vise 180 degrees or flip your fly over. Than line up the middle of your newly straightened pinch of dubbing to your thread (at the rear base of the dumbbell eyes). Then fold the other half of the fibers back to create a swept back collar, all on top of the hook. 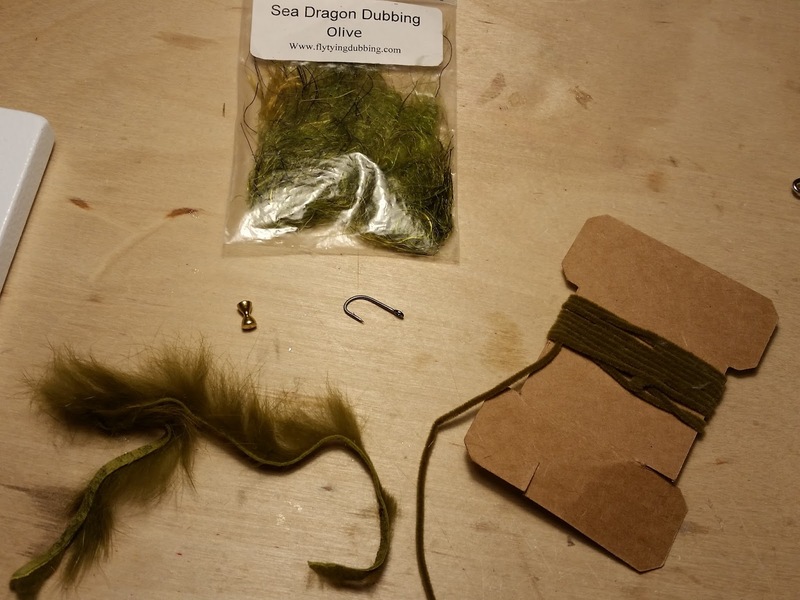 Secure all the dubbing with 2 or 3 wraps. 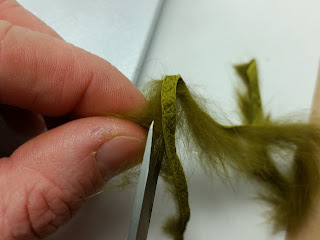 Strip a small chunk or rabbit fur from the same strip of leather. Add a whip finish at the base of the hook eye, and you're done! There are several tiers that have influenced me, this fly, and similar patterns including but probably not limited to: Carter Nelson (SEM Sculpin), Jim Pankiewicz (Black Betty/Carp Carrot), Nate Taylor (Mellow Yellow). Here are some variations of this fly with a soft hackle instead of rubber legged dubbing.